This is my very first attempt at Hairpin Lace Crochet. 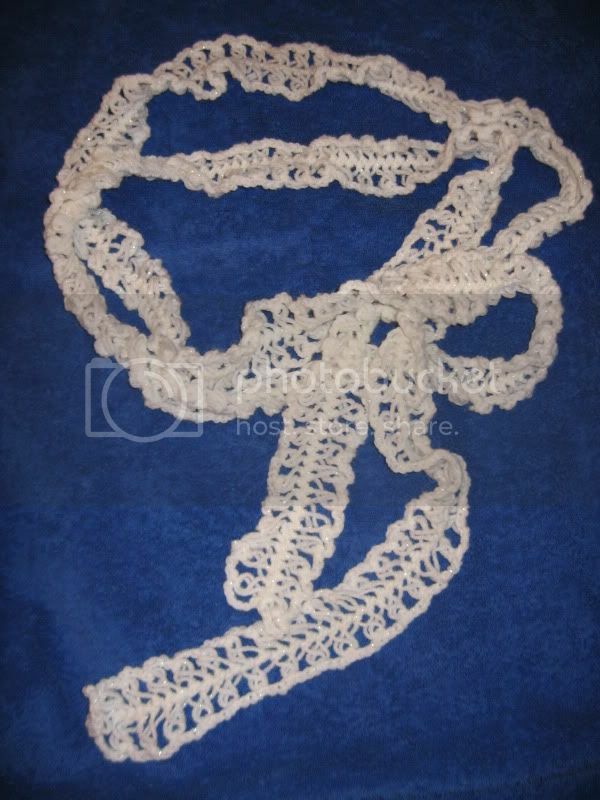 It is a skinny fashion scarf in white with a bit of sparkle to it. Very pretty. Very cute. So fun and easy! I will certainly do another hairpin lace project.